What does it take to produce award-winning documentaries year after year? Two-time Oscar winner John Battsek talks to Geoffrey Macnab about story, scale and the one rule of financing he sets himself. John Battsek can remember exactly when he decided to make documentaries. It was 1997 and he had just spent four years producing The Serpent’s Kiss, a period drama starring Ewan McGregor and Greta Scacchi, directed by Philippe Rousselot. He had not enjoyed the experience. “It was hellish, absolutely torturous, thoroughly miserable from beginning to end,” he says cheerfully. The film screened in Cannes and Battsek came back to the UK afterwards, “Miserable and not knowing what I wanted to do with my life - but I did know that I didn’t want to do that again,” he says. In the two decades since, films made by Battsek’s company Passion Pictures have notched up four Oscar nominations and two wins. Its movies have played in Sundance for 12 years in a row. It is a run that continues in January with Greg Barker’s Legion Of Brothers, about a US special forces mission in Afghanistan after 9/11. Passion Pictures was initially founded as an animation company by Battsek’s old school friend Andrew Ruhemann in the late 1980s (Ruhemann won an Academy Award for 2010 animated short The Lost Thing). Battsek joined the company after completing The Serpent’s Kiss to head up the film side. Battsek and Ruhemann now co-own Passion Pictures, with Battsek overseeing the documentary film department and Ruhemann running Passion Animation Studios. The natural history department, Passion Planet, is headed by David Allen. They all pitch in to help on each other’s projects. The idea for the first Passion Pictures documentary, 1999’s One Day In September, came to Battsek immediately after he watched When We Were Kings. Keen to make a similar sports-related film, he recalled the Munich Olympics of 1972, at which 11 members of the Israeli Olympics team were killed. At this time Battsek had been sharing an office with Trainspotting producer Andrew Macdonald and he met Macdonald’s younger brother, aspiring documentary-maker Kevin (Battsek’s brother Daniel was at that time running the UK arm of what was then Buena Vista International; he is now head of Film4). Kevin Macdonald and Battsek joined forces on what was to become One Day In September. The former had a relationship with the BBC, with which he had been making TV documentaries, and BBC’s Storyville strand became an early investor in the project. 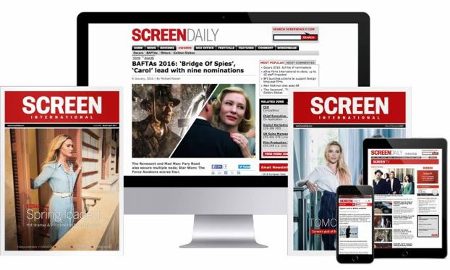 British Screen Finance, under its then chief executive Simon Perry, also came on board. From the outset, One Day In September bore many of the hallmarks of the films Passion Pictures was to make in subsequent years. It had scale and production values, and featured a voiceover from Michael Douglas, as well as music from Led Zeppelin and Deep Purple. The approach was cinematic right from the outset. One major coup for Battsek was persuading Arthur Cohn, the veteran Swiss producer whose credits included Vittorio De Sica’s Oscar-winning The Garden Of The Finzi-Continis, to join the project. Battsek was put in touch with Cohn by friend and independent producer Sandy Lieberson. At first, Cohn rebuffed Battsek but eventually agreed to be sent the treatment, followed by a meeting in London. “Will there be lots of archive?” asked Cohn, who decided to co-finance the film. “It’s essential to have lots of archive because if you don’t, you won’t win the Oscar.” At the time Battsek was still thinking about how to finance the film; Cohn was already focused on the awards it might pick up. Sure enough, One Day In September won the Oscar. “People have often said it must have been really worrying that it was going to be downhill all the way from that,” Battsek reflects on the challenge of following up on One Day In September. But that was not how Battsek viewed Passions’s prospects. Indeed, Searching For Sugar Man, directed by the late Malik Bendjelloul and produced by Passion, won the best documentary Oscar in 2012. Quite soon after One Day In September, Battsek came up with the idea for Live Forever: The Rise And Fall Of Britpop, which was released in 2003 and told the story of the British music scene in the 1990s. With an Oscar behind him, securing the finance from the UK Film Council and the BBC was relatively straightforward. Some of the projects Passion Pictures has produced, for example Bart Layton’s The Imposter, have made extensive use of reconstructed drama. Others, for example Daniel Gordon’s Hillsborough, have taken a more classical documentary approach. The one rule Battsek sets himself is to not start a film until he has raised all of the budget. Unlike many European documentary-makers who have to piece together their budgets from many different funds and broadcasters, Battsek can generally secure financing from one or two sources. For example, NBC-Universal and Showtime were the backers of Listen To Me Marlon, Stevan Riley’s recent Brando documentary. Battsek is now working with Universal Music Group and various Australian financiers on Mystify, a feature documentary about the life of INXS lead singer Michael Hutchence. It is being directed by Richard Lowenstein, who made many of the original INXS videos and was a close friend of Hutchence. Passion Pictures is now working on a series for Netflix but Battsek says it is too early to reveal any details. Indeed, the company is typically involved in five or six productions at any one time. The present slate includes a film Battsek has been planning for more than 10 years, a documentary about the abrasive, hard-living US comedian John Belushi, who died in 1982, aged 33. Battsek has long been in contact with Belushi’s widow, Judy Belushi, and around a year ago, she decided she was open to a film being made about her late husband. With her involvement, the project will have access to many of the key figures in Belushi’s life as well as rare archive material. It is being backed by Showtime and Sky Atlantic, and directed by RJ Cutler, whose credits include The September Issue. Two new Passion Pictures projects are set for theatrical release this year: Daniel Gordon’s George Best - All By Himself, about the Manchester United football legend, which premiered at the BFI London Film Festival in October and will be distributed in the UK by Dogwoof; and Stephen Kijak’s We Are X, about Japanese heavy metal band X Japan, which debuted at Sundance in January. Juggling several different projects simultaneously suits Battsek’s temperament and although he often comes up with the original ideas, he has no desire to direct. “I don’t really have the ability to focus on one project in the way that is required to be a brilliant director,” he says. Director Gordon has worked on 15 films with Battsek: “He’s very hands-off but hands on when he needs to be,” says the UK film-maker. Indeed, Battsek’s influence is evident in all his films. Whether working with regular collaborators such as Gordon or Greg Barker or others including Bart Layton and Dimitri Doganis (The Imposter) and Sebastian Junger and Tim Hetherington (Restrepo), Battsek wants his voice to be heard while ensuring the director retains ultimate control.